Rechargeable lithium batteries that last 6-8 hours of continuous use before needing a charge. Battery life will last 2-3 years. Very loud, excellent clarity, low feedback. Sound covers over 3,500 square feet. Can also be used MP3 speaker. The amp has a microphone input and a MP3 input . The amp will accept signals from both input ports and out through the speaker at the same time. 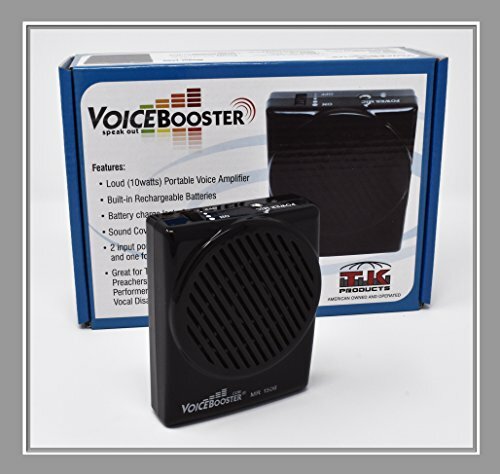 If you have any questions about this product by Voice Booster, contact us by completing and submitting the form below. If you are looking for a specif part number, please include it with your message.